The Willows and Wetlands Visitor Centre is the home of P. H. Coate & Son, founded by willow grower and merchant Robert Coate in 1819, and still run by the Coate family today. When Kathleen Boobyer, daughter of well known willow grower and furniture maker Edmund Boobyer, married Percy Coate in 1940, the joining of the two families created the present company. Is the most important wetland area in the U.K. This unique landscape provides the perfect conditions for willow growing. Basket making willow, known as "Withies", have been grown here for two centuries, and it is now the only area left where it is still cultivated for the production of baskets, furniture, garden items and high quality artists' charcoal. Here indeed is the heart of the English willow industry, an industry that in many ways has not changed for centuries. Willow grows extremely quickly, in one growing season which lasts from late May to early October a single rod can reach up to 8ft long. New willow beds are planted in the spring using pieces of willow from the crop harvested during the preceding winter. 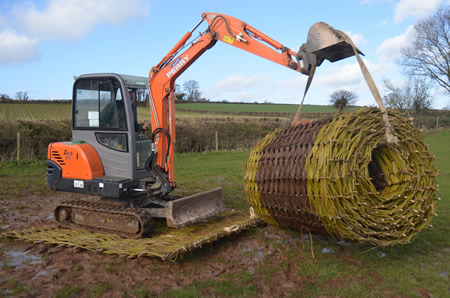 The new willow bed will not be fully productive in the first three years, but once it is well established, with careful management the plants can last up to 30 years. Each mature plant or "stool" gives rise to over 30 rods. The crop is harvested each winter time after the leaves have died and fallen, these old leaves provide nutrients for the following years, eliminating the need for artificial fertilisers. The willow beds provide homes and shelter for many species of birds and animals during the summer months. Willow growing is part of the rich environmental heritage of this area of Somerset. Both the commercial willow crops, or beds and the pollarded willow trees contribute to the character and image of the region. 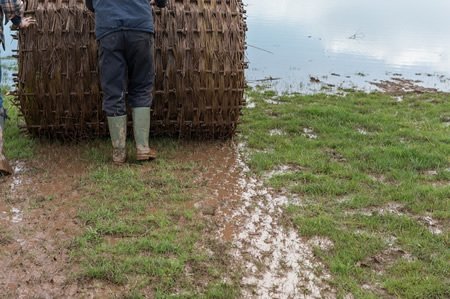 Machines are now used for cutting the withies and stripping off the bark, but in many ways the industry has hardly changed. The team at P. H Coate & Son, are specialist basket makers with 180 years experience between them, maufacturing commercial and retail products for a wide range of industries. and silt removal projects. Willow faggots and willow fascines are very effective for river bank erosion projects. We deliver all over the UK - for more information and a free quote please contact us. 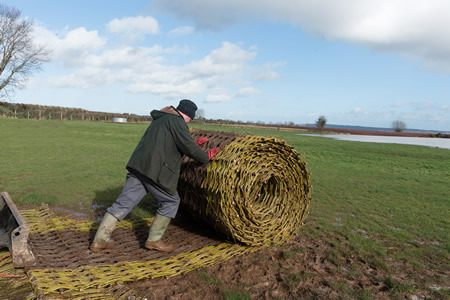 Ground Roll - the 100% natural river bank stabilisation material & ground protection mat.